The TankSure® Program is a standard component of our service plans and annual heating system maintenance. 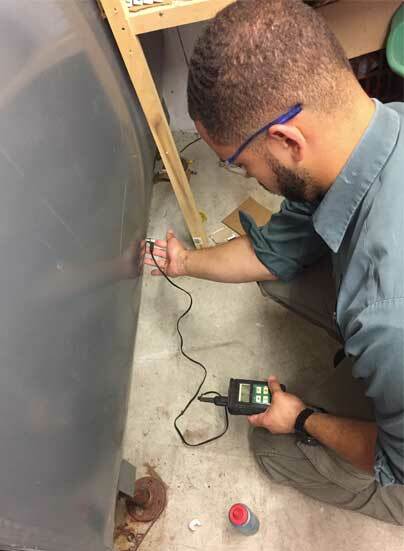 The program’s ultrasonic oil tank testing technology allows our technicians to suggest appropriate equipment upgrades before your tank leaks. This valuable program enables us to evaluate the safety and integrity of your fuel oil tank. This is important for you, your environment, and your investment in your home. At the time of your annual service, our trained technicians will use ultrasonic testing technology to evaluate the thickness of your tank. Heating oil tanks typically corrode from the inside out, so your tank may look perfectly fine from the outside but could be wearing excessively thin. The annual ultrasonic testing process is designed to help replace your tank before it leaks. Qualifying customers will receive $2,000 toward an oil tank replacement. In addition, you may be eligible for discounts on your homeowners insurance policy. Learn more about the TankSure® Program.